Embracing a retro-futuristic premise, Steel Rats takes place in an alternate 1940s where the fictional urban sprawl of Coastal City finds itself invaded by a cabal of apparently very evil Junkbots hellbent on humanity’s destruction. Really though, at its core, Steel Rats is just an excuse to have a side-scrolling platforming shooter where you are controlling a massive sod off bike that can do a bunch of super-neat acrobatic moves whilst deploying an offensive arsenal equivalent to that of a small country – think Trials meets Mad Max meets a sense of forgiveness. And really, that’s fine by me. Getting the obvious thing out of the way first – the story in Steel Rats serves as very much a paper-thin setup for the onscreen action and precious little else. Character-wise, we’re pretty much living in Cliche City here, as we have the typical quirky Japanese super-nerd, and this being a game about massive bikes, we of course have the typically imposing looking fella with a massively overstated beard who looks like he’s just walked off the set of Sons of Anarchy. So far, so Bad Bois Bikes 101 then. When it gets going, the sense of speed in Steel Rats can be quite something. Once you’re into the game proper however, Steel Rats wastes little time with formality as instead it ensures that players are thundering along with their chopper in no time – crashing through obstacles, collecting loot and smashing through enemies with stunt-ridden aplomb. The objective for each level is pleasingly simple too – get from one point to another and you’re done. 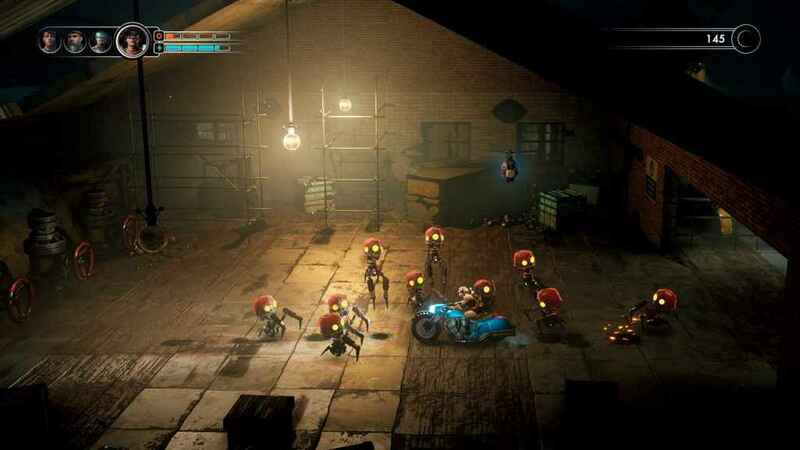 Although Steel Rats feels physically extremely similar to Ubisoft’s sanity punishing Trials games – the creative latitude for the player to pull off all manner of wheelies, backflips, spins and more remains undiminished – Steel Rats thankfully does not share the draconian difficulty level that Trials seemingly relished. Indeed, pull a back-flip that causes your rider to land on their skull and no ill-effect will be suffered – instead they’ll just magically right themselves like nothing ever happened. Happy days. 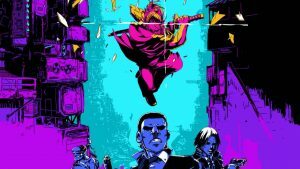 More than just embracing Trials affection for physics based shenanigans, Steel Rats leverages its oddball science fiction setting to take things a step further. Holding down the X button causes the front wheel of the bike to burst into flames, allowing the vehicle to crash through and destroy a variety of enemies and obstacles when going at a decent speed. Elsewhere, holding the same button down allows the bike to magnetize itself to certain surfaces so that it can ride straight up surfaces or even upside down on ceilings. When the action slows down, Steel Rats isn’t at its best. More than just bravado enhancing acrobatics, such freedom of movement proves to be essential to the level design of Steel Rats as each area you ride into is marked by a riot of sheer walls, twisting ramps and other such obstacles which must be overcome. For the more adventurous, the surprisingly non-linear level design of Steel Rats allows players to venture off the beaten path too, completing tricky jumps to discover secret locations often containing junk parts (used to upgrade your bike) and story clues. 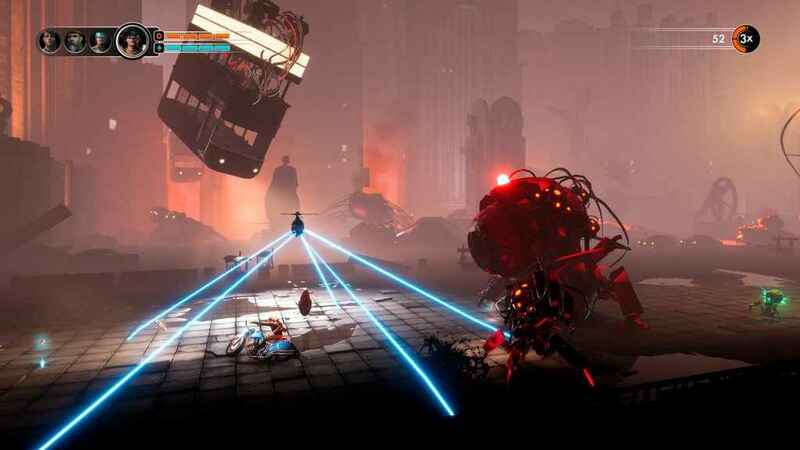 In addition to such discoveries, Steel Rats also promotes replay of its levels by imposing a range of secondary, optional feats upon the player. Pointedly, you can gain bonus points in each level by completing optional objectives such as performing a wheelie for five seconds or finishing the level under a certain time. The annoying thing however, is that as you complete these tasks the game never tells you – instead you have to pause the game and look into the menus to confirm completion. Speaking of completion, a range of upgrades, various paint jobs and new outfits can be bought in-between levels with the junk (essentially currency) that you accumulate from crashing through obstacles and defeating enemies. Beyond such upgrades, Steel Rats also lets players choose from between four different riders – each with their own choppers, unique abilities and skill trees to boot; providing plenty of variety for play in the process. 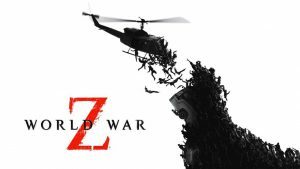 The guardian drone proves highly effective in destroying enemies when fully upgraded. Arguably, Steel Rats is at its best when you’re tearing through each level with nary a care in the world, because while in this mode of play, it feels like the fast and frantic romp it’s supposed to be. On the other hand, when you have to slowdown to pick up collectibles however, Steel Rats feels a little more awkward than it should, and it’s a state that effectively robs Steel Rats of crucial momentum in the process. Nonetheless, when Steel Rats is firing from all cylinder it’s a raucous, furious affair. From the high-octane, evergreen thrills of its chopper riding to a satisfyingly ludicrous vehicular arsenal including wheel-mounted saw blades, harpoon guns, flame spewing exhausts and much more besides, Steel Rats succeeds in reliably entertaining players throughout its ten hour or so duration. It’s also worth mentioning that Steel Rats is quite the looker indeed. Powered by the well-practiced grunt of Epic’s Unreal Engine, Steel Rats constantly impresses with highly detailed backgrounds, vehicle models, smooth framerate and a wide range of particle effects which all help to reliably cement the developer’s evocative vision of an offbeat, alternate 1940s with flourish and flair. Ultimately, there’s a good deal of fun to be had with Steel Rats. Though it fails to strive beyond its marriage of Trials and action platformer style gameplay, the unusual hybrid of those two elements makes for a robust, bolshy and undeniably attractive effort that makes Steel Rats feel like quite the rip-roaring time indeed. 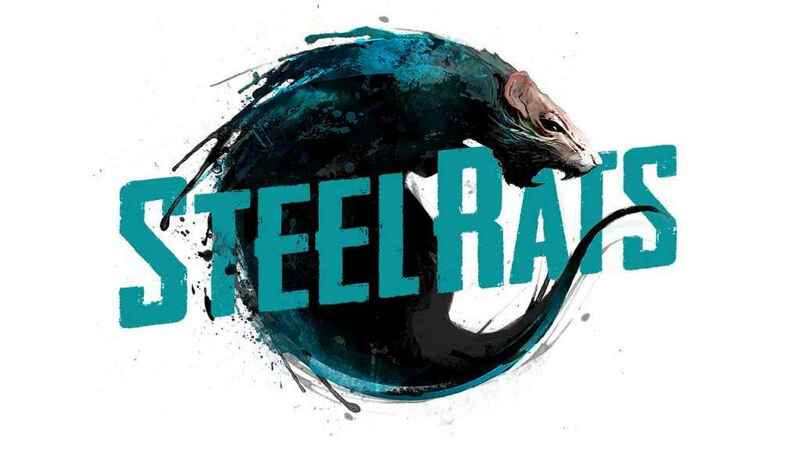 Developed and published by Tate Multimedia, Steel Rats is out now on PS4 and PC. 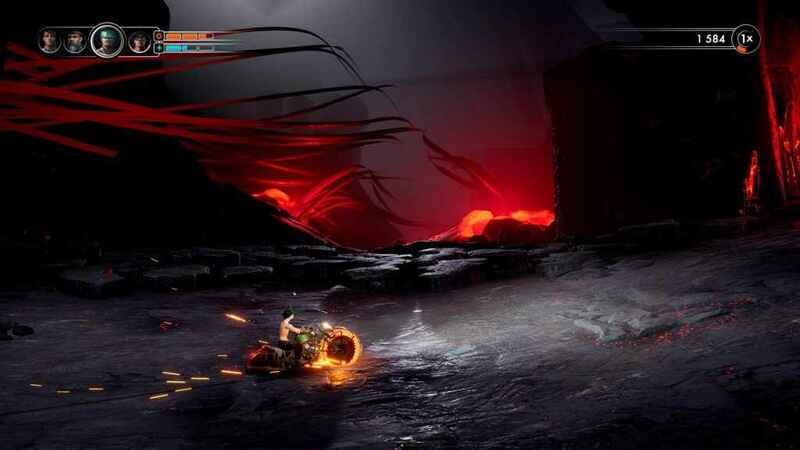 A highly enjoyable and polished if relatively unambitious bike-fueled action romp, fans of high-octane action platforming will be served very well by Steel Rats.